Best L&L Factory direct pricing with the link below & FREE White Glove Delivery + Removal with our link. 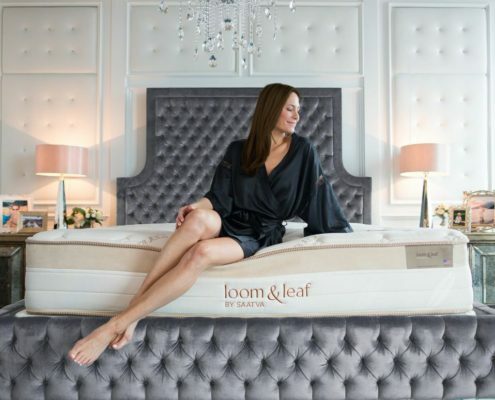 Loom & Leaf is a quality luxury mattress for a truly fair price. One of our favorites! The memory foam feel with a quilt on top has a lot of benefits, like less of a quicksand feeling. 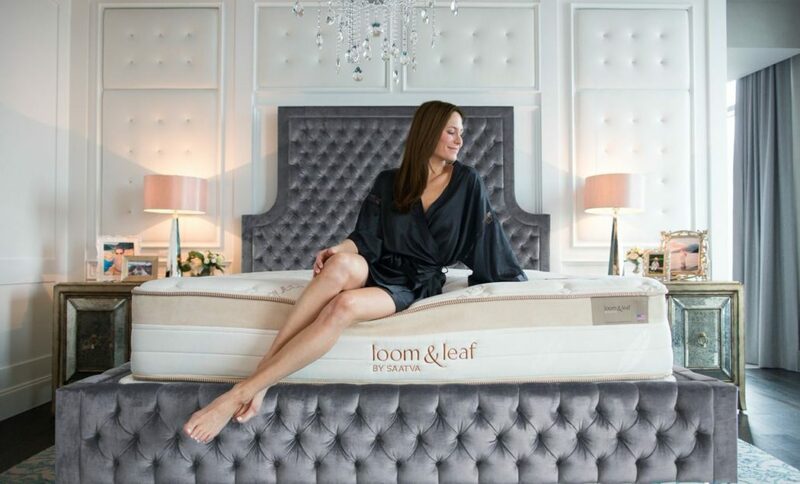 Loom and Leaf is a sister company of Saatva Mattress. 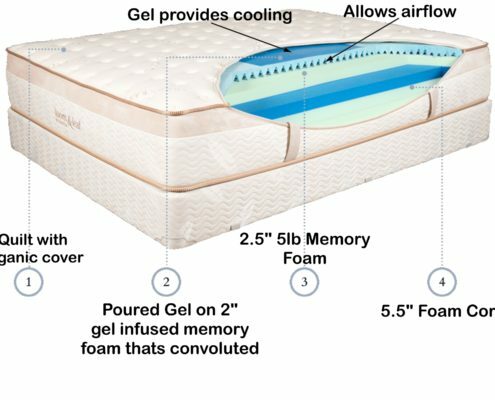 This mattress is a quality made Gel Infused Memory foam mattress that has some added features other memory foam mattresses do not offer. 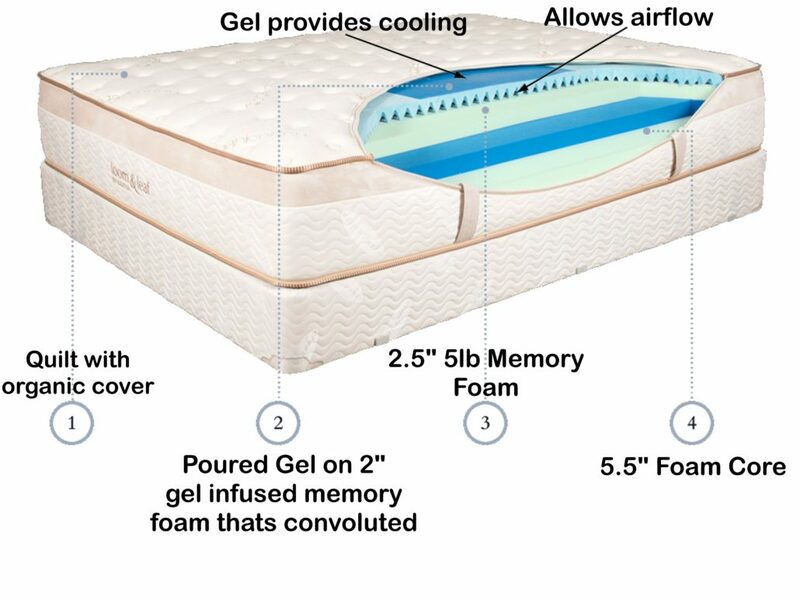 Such as the spinal gel layer and a nice quilt on top for added softness and cooling. 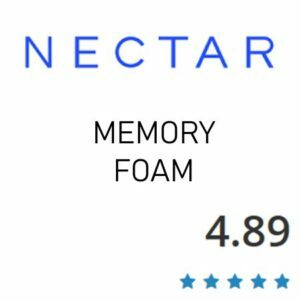 This is one of our top picks in the foam arena. 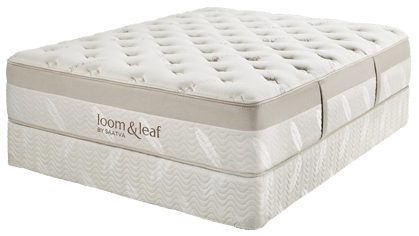 Loom and Leaf uses a quilted organic cotton cover. I personally like the feel of a quilt vs a thin zip on cover. I think it provides more or a substantial feel and durability. The Loom & Leaf can be used on any solid surface. 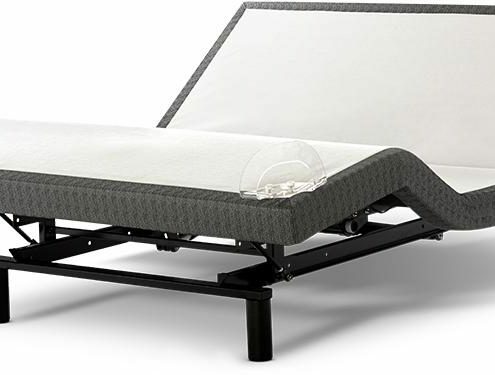 Whether you pop it on the floor, on a wood foundation, boxspring, platform with slats or an adjustable base it will perform great. They also now offer adjustable bases that work fantastic with Loom & Leaf, See our Video review to see if in action. We reviewed it in a split king which is awesome for couples to adjust independently. What we want to see is less red. More yellows and blues. 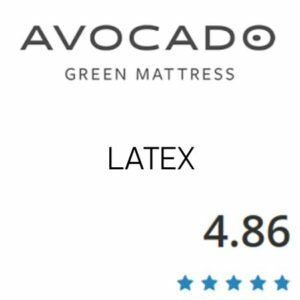 Both of these mattresses perform great for pressure relief. Note, you can expect the firmer Loom and Leaf to not quite have as good of pressure relief by nature since its uses firmer foams. 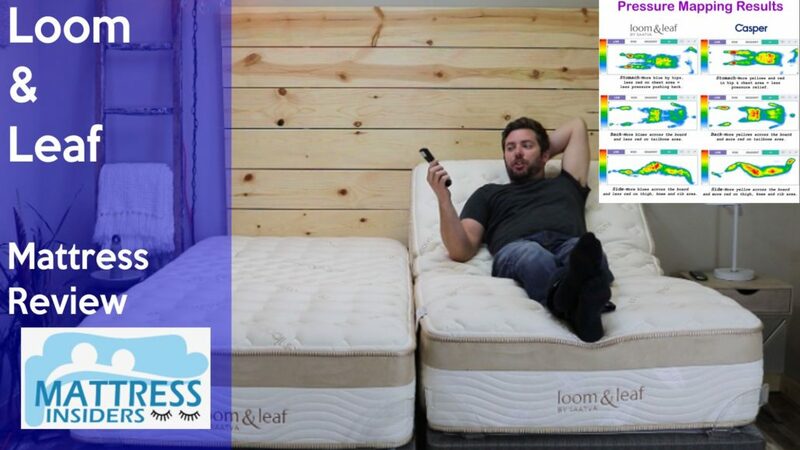 Loom & Leaf was born out of the success of the innerspring mattress, from Saatva. Loom & Leaf is based out of Westport, CT. and Austin, TX. 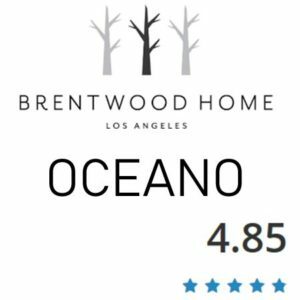 Within the last several years they have grown from a mid-sized regional company to the largest online-only luxury mattress brand in the United States. They now have 19 manufacturing partners and 135 fulfillment centers throughout the country. 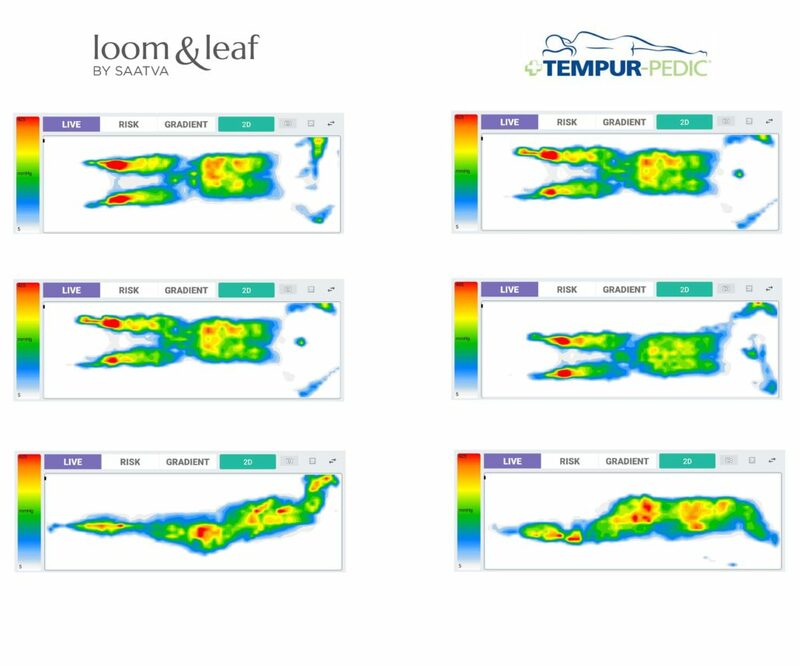 We enjoyed the Loom & Leaf for the following reasons.